That was quite some time ago, when an entire nation was debating over Steve Waugh’s Test cap — leading to calls for urgent need for repair or even a possible replacement. It’s time now for another similar request to be made — this time all Indians have to join in this representation and hand it out to Mr Rahul Dravid. The Baggy Blue, if one may call it that, is dear to Dravid, and despite the old worn-out look— especially the Indian crest — the former Indian skipper wears it with the same bubbly pride with which he wore it first at Lord’s in 1996. That sentiment in itself is big in today’s commercial world of instant cricket. Dravid knows his cap is now an attraction in itself. He speaks about the sentiments associated with it, and after much persuasion agrees that it just may do with a repair. “Why do you ask me to change my cap?” he asks. “Does it look ugly? I know it’s old. Very old. But I am very sentimental about it. I feel very comfortable and it fits me well. But yes, I would want someone to do something about its elastic band. It keeps coming off, and I have to redo it,” he laughs. The 35-year-old bat, however, doesn’t think that his cap can be matched with Steve Waugh’s. “I can’t match Steve Waugh’s. He’s played 168 matches, and he wore it for 18 years,” he says. “I still am very far off from that,” the 118-match veteran adds. Waugh’s cap was so tattered and worn out that it sparked a national debate if it was fit for an Australian skipper anymore. When it was repaired, there was extensive media coverage. As the debate centers on Dravid’s cap now, other India caps also come under scrutiny. Anil Kumble’s cap is pretty faded. It is one step advanced than those with the elastic band—it has a strap at the back. And now with the Indian team getting a new kit sponsor, the Test cap has got a whole new look and manufacturer. Ishant Sharma, the latest one to wear the Test cap, feels very proud of his new-look, new material cap. “I am more comfortable with this style and it fits neatly on my head. I wouldn’t like the elastic one,” he said. Different people, different choices. But the sentiments are the same. “Rahul is very fond of his Test cap, and I have seen it right through my playing days. He’s very attached to it. However, I was never really into all this,” said Venkatesh Prasad, the bowling coach. Chetan Chauhan, former Indian opener and the present team manager, said: “Dravid is very touchy about his cap and he has every right to be so. I still have mine. I take pride in it. It’s something every cricketer aspires for. It’s great for him to be so proud of it,” he said. For the moment, Dravid is just thinking about the crucial Test starting tomorrow. Flash back to 2003— one can see Dravid hitting the winning runs here, clutching his Test cap. This time, Dravid, personally is closing in on another milestone—he is just 119 runs away from completing 10,000 runs in Test cricket. And when he reaches that, it may be perfect to gift him a old-fashioned Test cap as a token of appreciation. Nothing will mean more to him. 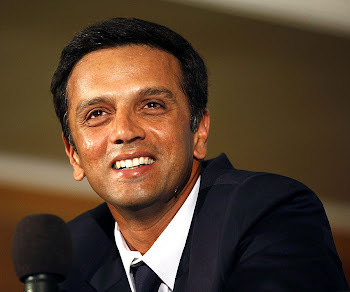 Read more about Dravid's personal information.